The scientists decided to create olympicene (C19H12), a hypothetical five-ringed structure which was entered on ChemSpider, the RSC’s free online chemical database that has over 26 million entries. The molecular structure with three hexagonal rings provided an interesting synthetic challenge, states Graham Richards, RSC Council member. The compound olympicene is related to graphene (single-layer graphite) and has interesting electronic and optical properties, which may have uses in the next generation of solar cells and LEDs. 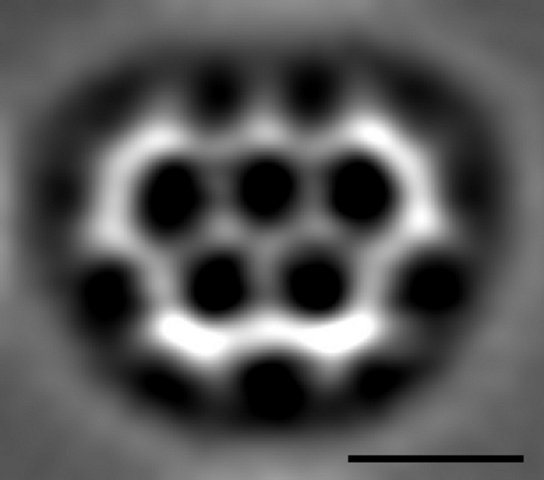 The team used a complex technique known as non-contact atomic force microscopy (AFM) to visualize olympicene. 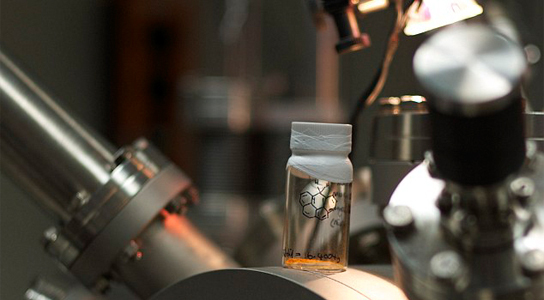 They were able to image a single molecule of olympicene at just 1.2 nanometers in width. 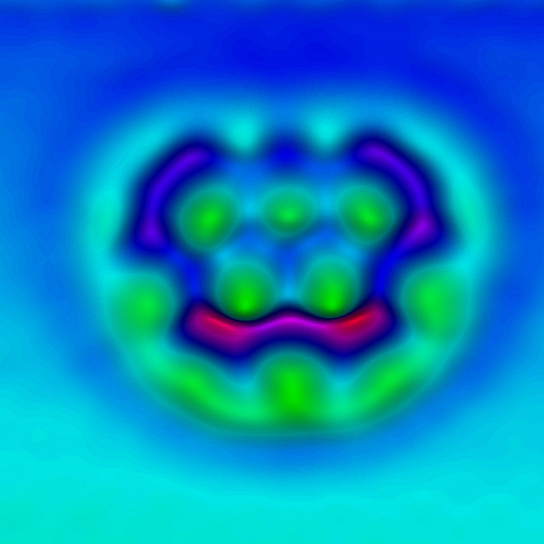 The key to this atomic resolution was an atomically sharp and defined tip apex for AFM. The compound was engineered using synthetic organic chemistry techniques. The unique shape was initially created in March 2010 to celebrate the 2012 Summer Olympic Games which will be held in London. Be the first to comment on "Olympicene, the Smallest Possible Five-Ringed Structure"